Hockey teams are notoriously vague about players’ injuries. They’re usually categorized as “upper-body” or “lower-body,” with scant details beyond that. 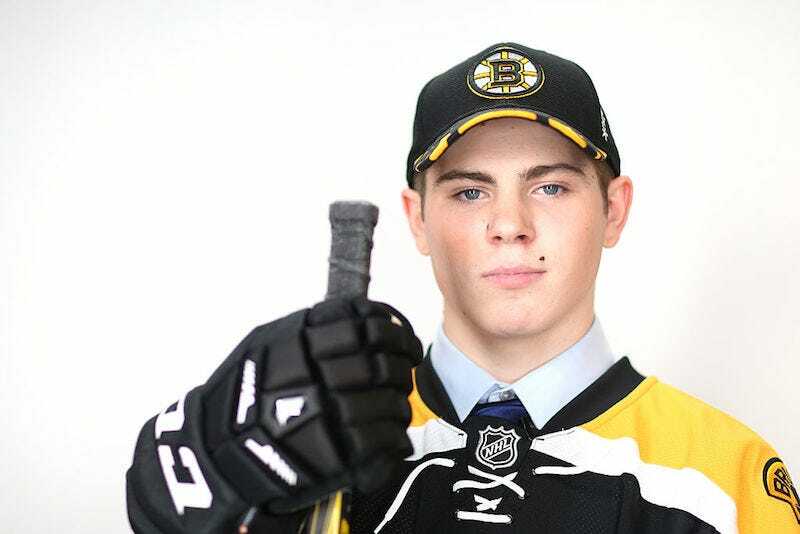 Boston Bruins draft pick Jake DeBrusk suffered a lower-body injury while playing for the WHL’s Swift Current Broncos on Oct. 30, and today, he revealed what actually happened: He needed surgery after a slapshot caught him in the testicles. “I fainted right before the procedure and I was in [a hospital chair] and I was like, ‘How’d it go?’ and they were like, ‘We haven’t started yet,”’ he recalled. DeBrusk says his balls are fine now.